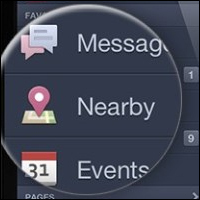 Like Google+ Local, and Qype and Foursquare before it; Facebook is getting into the local mobile search area with its new Facebook Nearby effort. The social media’s mobile phone apps on both IOS and Android have now incorporated Foursquare style functionality and allows users to find and rate businesses in the local area, and even review them. The new addition also allows them to see where their friends have checked in and also search for local business by name or type. With over 500m mobile users worldwide, Facebook offer significant potential and this change makes it even more central to any SoLoMo strategy you have. So, let’s see how to best integrate it. Visibility is first and foremost. To ensure you can be seen on the new Facebook Nearby you’ll need to claim or create the Place and Business pages and add the relevant details, which include phone, email, address, opening hours etc. When this is done users can rate your business and this in turn helps rankings on Nearby search results. You will also require a Facebook Place page for the physical location of the business. This allows you to see what visitors are saying, doing and any recommendations or check-ins. It’s quite easy to do. The page is also a necessity and it should be created with keyword rich content as Google can index it. This means it can be used to provide information to potential customers and if liked can be used to share content. It can also be merged with the aforementioned Facebook Place page. Merging is not available to all businesses as of yet, but you will be prompted by the site if it is possible to do so – so, keep an eye out if it’s not yet an option. One thing to note is that only single locations and pages can be merged currently. So, if your business has a number of locations it cannot be merged together as of yet. Of course, once the pages are merged, people who Like one or the other will be able to see photos, details and information for both. Also, if they Like your business via Nearby, they will also like your business page and you’ll pop up on their Newsfeed from now on. As we’ve hinted, the results and your position during local search are dictated by the number of stars, check-ins and other information. These actions inform Facebook on what businesses to showcase in the app for others in the area. So, to make the most of the feature you will have to encourage fans to check-in and also to provide stars. Incentives, such as a free desert with a check-in or encouragement on the form of in-store signs and Facebook posts and emails all help to encourage this and improve your ranking locally. The potential for Facebook Nearby is significant thanks to its app integration, Facebook’s huge user base and other factors. So, for 2013 it’s definitely worth considering it in your New Year social media resolutions. Having trouble setting up your local page? Get in touch with our social media marketing team for a review.